Earthborn believes in the best nutrition possible for your dog. They have selected the finest fruits and vegetables, proteins, and carbohydrates and blended them together with essential vitamins and minerals which produced foods specifically designed to help maintain and build your pet’s overall health. With the names ‘Earth’ and ‘Born’ in the title, Earthborn dog food must incorporate the best of the Earth to provide the best of the health from the time your dog is born. The diet of your dog needs to be based upon proteins with a few other added ingredients from a pure source. With Earthborn choosing the finest blends of each of the ingredients, the food can benefit your dog in a multitude of ways. The finest proteins, carbohydrates, fruits and vegetables each have their own natural chemical makeup. When the chemical compounds of each ingredient blend, the nutrients are enhanced and work well in keeping the balance of your dog’s diet in check. Using certain elements of each food ingredient allows the product to fully benefit your dog in both flavor and nutrition while exemplifying the quality. With holism at the core of Earthborn’s philosophy, it is no wonder that they produce foods to care for both mind and body. Many dog owners may not consider the overall wellness of their dog and simply stick to a simple dietary routine based on media and advertisement suggestions. For example, dogs on TV are simply given kibble and let out in the backyard or possibly taken on a walk. Commercials seem to advertise simply, classic dog food that has yet to evolve with the changing times. Adapting your dog to a fresh, pure diet that mirrors your own may seem to others as spoiling your dog or as of being an unnecessary expense, however, caring for your dog’s nutritional needs now may help lower or prevent veterinarian bills later. Mental health awareness is rising in the human population and many dog owners are caring for their mental wellness and being mindful of the strength of their brains. Science has given us, dog owners, a new insight to the health and well being of our brain and the relative ease in doing so via nutritional supplements. When caring for ourselves, we must also care for our canine companions. The brain of a dog is almost as easily manipulated and strengthened via nutrition as ours are. Caring for the brain of your dog can be done through a nutritious diet, ample supply of water, and plenty of sleep and exercise. Overall health is dependent upon these factors and your dog depends on you to make the right choices for him in this regard. 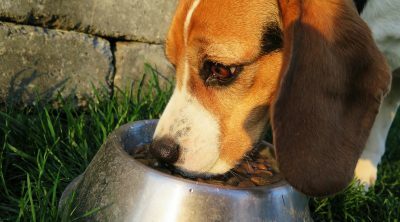 Choosing the proper food that cares for the body and the brain is a good start to a healthy doggie life. A healthy diet, as in humans, is directly related to a dog’s healthy mindset. Their holistic formulas range from Adult to Puppy Vantage, as well as Ocean Fusion and Small Breed. Beginning in the puppy years, the body and brain of your dog need to be cared for as best as possible. Establishing a healthy brain and healthy taste in food will allow your puppy to grow into adulthood with a stronger mindset and fewer health issues and stressors. A healthy diet, along with a safe, warm, loving environment will mean so much more to your dog than any vet visit/surgery/repair could even do in the event of a sickness. Preventing illness from beginning is the easiest remedy for a potentially fatal disease from inhabiting the body. This is true for humans as well as dogs! 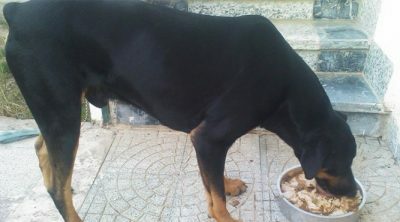 As a dog owner, keeping the diet of your dog as a holistic foundation will help to balance the diet and nutrition of your dog in a manner that best suits their age, size, and breed. A holistic and natural approach also mimics the dog’s natural instincts to eat whole foods. Dogs have not grown to be accustomed to eating processed foods and human foods we tend to offer them from the table. Dogs need to eat specially formulated foods from a natural source with the right amount of protein and fiber. Using Earthborn dog food is a great way in which you can incorporate the healthy nutrients of whole foods easily into the diet of your dog. Adult Vantage is designed for the averagely active dog by maintaining and strengthening their active lifestyle. Dogs that are active, opposed to older, senior dogs or those who prefer the lap of their owner, need to have a bit more nutrition than their counterparts. Keeping the active dog’s diet rich with protein will allow your active dog to remain strong and withstand the exercise and strain he puts on himself during play or work. The Adult Vantage line of Earthborn conditions your dog for life by way of its quality proteins, whole food ingredients, thoughtful levels of phosphorus and calcium, as well as added essential nutrients like Beta-carotene and L-carnitine. The primary ingredients in this line are chicken and whitefish, which means that your dog’s muscle mass will benefit hugely from the high protein count. It also helps maintain a healthy intestinal tract and overall immune system. When a dog has a healthy digestive tract, the overall wellness of your dog improves greatly. Adding whitefish to the ingredients of the food boosts the omega 3 fatty acid content of your dog and his ability to withstand skin irritants and allergic reactions. Protein and omega 3 acids are wonderful compounds to the diet of your dog that not only boost muscle and skin texture, but also the energy levels and brain power of your pup. The Ocean Fusion formula offers your dog a bit of a change and a healthy alternative. As it would suggest, the primary ingredient is fish; white fish to be precise. This is combined with some potato to add more substance to the food. It is ideal for dogs with specific dietary requirements because it has a lower protein and carbohydrate content, making it much more easily digestible. The food is naturally high in omega-3 and omega-6 fatty acids, which can be hard to come by without supplements. These will ensure a beautiful coat and healthy skin for your dog. Earthborn Holistic’s Puppy Vantage does just as you would expect from the name: it gives your pup the best possible start to a long and healthy life. The very beginning of your pup’s life is the time to train them to eat well and adapt to the nutrition offered from proper food. 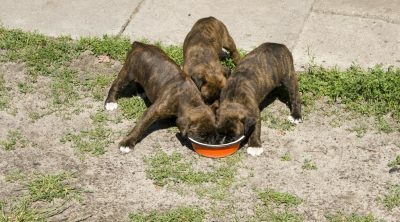 Having proper food as a puppy also lays the foundation for their overall development and will strengthen their bones and muscles. The Puppy Vantage food has a unique and specific formula specially designed for the growth of a puppy. The kibbles are filled with all the best possible nutrients and vitamins to promote longevity and happiness. When a puppy is healthy, strong, full of energy, and free from skin irritants, the pup can grow up to adulthood with as a loyal companion and a happy, well kept dog. Happiness of a dog can be traced back to puppyhood, although there are some exceptions. Those dogs who were cared for well and fed naturally as puppies generally do better than dogs without the same start to life. Feeding your dog Earthborn puppy vantage can help your dog to have a head start and lead a life of overall wellness. This brand of food is such a high quality line that the food is able to provide a bevy of important ingredients your puppy will benefit from. Puppy Vantage provides your puppies with premium proteins, proper levels of phosphorus and calcium, essential amounts of DHA, wholesome carbohydrates, all of which contribute to an active, healthy lifestyle for your growing pups. The puppy vantage line almost resembles the ingredient line of baby formula with all the natural ingredients! The Small Breed formula is designed specifically for little terriers such as Jack Russell’s. This formula provides the nutritional requirements for any dog weighing less than 20 pounds at maturity. 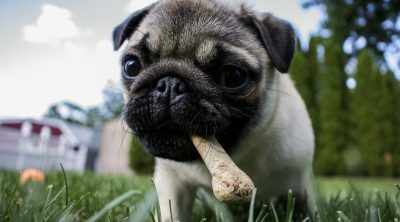 Small dogs have different needs and different digestive capabilities. Small dogs simply cannot eat, digest, and benefit from the foods offered to larger, thicker, more active dogs. Small dogs are active too, but their bodies can only withstand a certain amount of proteins and nutrients compared to their larger sized canine friends. The balance between weight and energy is a fine one with small dogs, and the Small Breed formula provides the unique nutritional support to maintain this balance. Small dogs are often highly energetic and thus require high levels of carbohydrates. Feeding them the same carbohydrates you would give a larger dog will only result in massive weight gain and a deterioration of their happiness. Larger servings of carbohydrates can also cause obesity, diabetes, poor dental health, and joint pain. Small dogs release a lot of energy and burn their calories, but just not nearly enough to offset the extra carbohydrates. The chicken meal and whitefish blend in the Small Breed formula ensures that a high level of protein is obtained to provide muscle mass. This combined with L-carnitine helps turn body fat into muscle and energy. Chicken meal has more protein than regular chicken contains, even if the sound of chicken meal is not appealing to you. To a dog, chicken meal is a delicacy and a nutritional powerhouse. 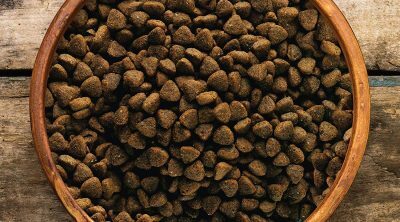 Blending with whitefish, the nutrition in this kibble will benefit your dog on many levels. You may even need to copy the recipe at home for your own human use! There are also plenty of antioxidant rich fruits and vegetables included to help preventing disease and illness. Dogs depend upon protein and water for survival. However, a variety of food needs to be included in their diet for true health and wellbeing. For added vitamins and nutrients, fruits and veggies pack a punch to boost your dog’s anti inflammatory properties and their immune system. 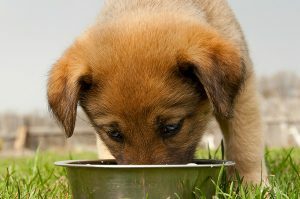 Fruits and veggies also contain a great amount of water and will help your pet avoid dehydration. Earthborn also offers a series of grain-free products for more sensitive dogs. Dogs are not meant to ingest grains. Some dogs may have stronger stomachs and digestive systems than others, but just because a dog can tolerate a certain grain does not mean he should eat it. Primitive Natural offers one of the most canine natural diets you can find on the market. It’s a gluten and grain free formula that is also protein rich. It is filled with whitefish meal, turkey meal, and chicken meal, making a truly delicious blend of meat, poultry and fish to satisfy your dog’s pallet by satisfying its instinctual craving for raw animal nutrition. Avoiding grain in the ingredient list allows the full potential of protein and minerals to take hold without any potential uncomfortable side effects from grain or fillers. For bigger dogs, Earthborn offers the Large Breed blend of dog food for dogs weighing over 50 pounds at maturity. Like with smaller dogs, it is important to find the right balance between proteins, fats and carbohydrates with big dogs. Large Breed provides an accurate balance between these components to ensure your beast of a dog receives the healthy equilibrium he so desperately seeks to ensure healthy joints, bones and body functions. This delicious chicken meal formula is packed with vegetables and fruit to ensure optimum levels of essential vitamins and minerals are provided to your lovely big dog. As we all know, some dogs lack a little discipline and tend to gorge on whatever they can find. When the time comes to crack the whip and get that lump of a dog into shape, look no further than Earthborn’s Weight Control formula. This unique food reduces the fat and calorie intake of your glutinous canine while still providing the essential nutrients it needs. This chicken formula is certain to help your dog lose weight and thus make them a lot happier. Your dog will not only be happier with a bit of weight loss, but he will also have less joint pain, less stomach irritation, and will be less apt to develop diabetes, high blood pressure, and dental problems. As a holistic company, Earthborn believes that a healthy body and a healthy mind are entwined. This product sums up that philosophy quite aptly. When the body is aligned in a natural manner with a strong basis of nutrition, the health of the brain will follow and the happiness of the heart will round out the wellness. Save up to 20% every time with every order when you sign up for auto ship program here. 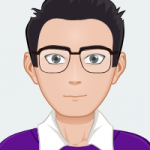 You can also check out Earthborn dog food reviews and prices on Amazon. Consumers have found great success with the Earthborn dog food line! 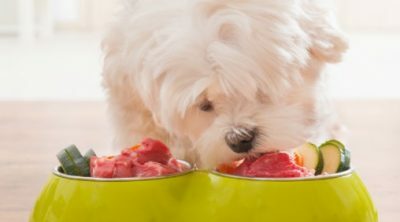 Dogs seem to have good reactions to this type of food and are stronger for it. The overall reviews of happiness in this brand range from four to five stars across all genres of dog breeds and age. Our rating for Earthborn is 5 stars. This is not an easy to achieve stat, and is a rating dog owners can trust. The happiness in Earthborn dog food as told by consumers is mostly based upon the use of bison meal, peas, and pea protein. The combination of these ingredients allows a large amount of protein to be ingested by your dog, all in a tasty, natural bite that mimics food found in the wild. Further faith in this brand of dog food comes from the fact Earthborn products have never been recalled! The fresh food is not only incredibly nutritious and beneficial for the health and wellness of your pup, but so is the safety factor of each ingredient! Made in the US, this food does not seem to have the potential for the toxic chemical additives of other brands. The fresh food has also never developed salmonella compounds that spread through a facility, causing serious sickness in dogs, recall of the food, and quality checks within the manufacturing facilities. You can be safe and secure in the purchase of this food brand, knowing your dog will not be put at risk from a poorly made food in an unsanitary environment, possible shipped overseas and further developing bacteria and other infestations. This pure, natural brand is one that has been deemed safe and clean from quality rich ingredients and facilities with a dog’s overall health in mind. How to buy a puppy the right way!